Midway through trading Monday, the Dow traded down 0.26 percent to 17,752.93 while the NASDAQ declined 0.30 percent to 5,112.17. The S&P also fell, dropping 0.28 percent to 2,084.19. In trading on Monday, energy shares were relative leaders, up on the day by about 0.73 percent. Meanwhile, top gainers in the sector included Pacific Ethanol Inc (NASDAQ: PEIX), up 13 percent, and GulfMark Offshore, Inc. (NYSE: GLF), up 10 percent. Cyclical consumer goods & services sector was the top loser in the US market on Monday. Top losers in the sector included Zumiez Inc. (NASDAQ: ZUMZ), America's Car-Mart, Inc. (NASDAQ: CRMT), and Hong Kong Television Network Ltd (NASDAQ: HKTV). PGT, Inc. (NASDAQ: PGTI) announced its plans to acquire WinDoor, Incorporated. The transaction is valued at around $102 million. Shares of iKang Healthcare Group Inc (ADR) (NASDAQ: KANG) got a boost, shooting up 16 percent to $19.49 after the company reported the receipt of a competing non-binding go private bid at $44 per share or $22 per ADS in an all cash transaction. One Horizon Group Inc (NASDAQ: OHGI) shares were also up, gaining 5 percent to $1.10 after the company reported that it has received first U.S. patent for its mobile VoIP platform. Prestige Brands Holdings, Inc. (NYSE: PBH) shares tumbled 6 percent to $51.21. Jefferies downgraded Prestige Brand Holdings from Hold to Underperform and raised the price target to $44.00. Shares of Supercom Ltd (NASDAQ: SPCB) were down 38 percent to $4.76. Supercom expects Q3 revenue of $5.5 million to $6.1 million and FY revenue to exceed $30 million. The company also announced a contract of $8 million. 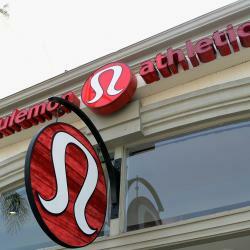 Lululemon Athletica inc. (NASDAQ: LULU) was down, falling 6 percent to $49.57. FBR Capital downgraded Lululemon Athletica from Market Perform to Underperform and lowered the price target from $55.00 to $42.00. In commodity news, oil traded up 1.70 percent to $42.42, while gold traded up 0.60 percent to $1,062.50. Silver traded up 0.37 percent Monday to $14.10, while copper rose 0.46 percent to $2.07. European shares were higher today. The eurozone's STOXX 600 rose 0.52 percent, the Spanish Ibex Index gained 0.76 percent, while Italy's FTSE MIB Index surged 0.53 percent. Meanwhile, the German DAX climbed 1.02 percent, and the French CAC 40 jumped 0.80 percent, while U.K. shares fell 0.05 percent. The Chicago PMI slipped to 48.7 in November, versus 56.2 in October. Economists were expecting a reading of 55. Pending home sales index gained rose 0.2 percent in October to a reading of 107.7.